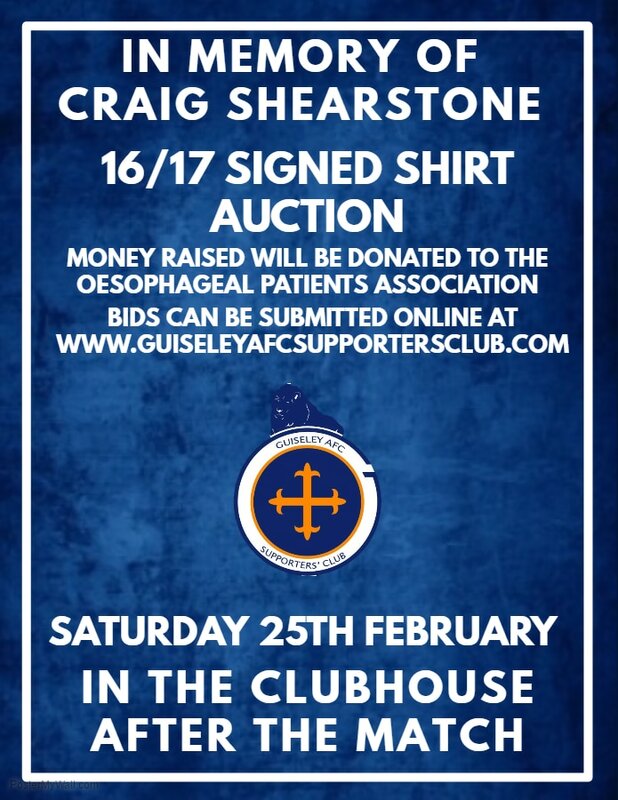 On the first anniversary of the passing of our friend and former Supporters' Club Secretary Craig Shearstone, we would like to support the Charity Oesophageal Patients Association, we have a 2016\17 signed shirt for auction. The shirt was a competition prize from the National League Sponsors Vanarama donated by the recent winner Andy Wood, thank you Andy for donating your prize so we can help raise money for charity. 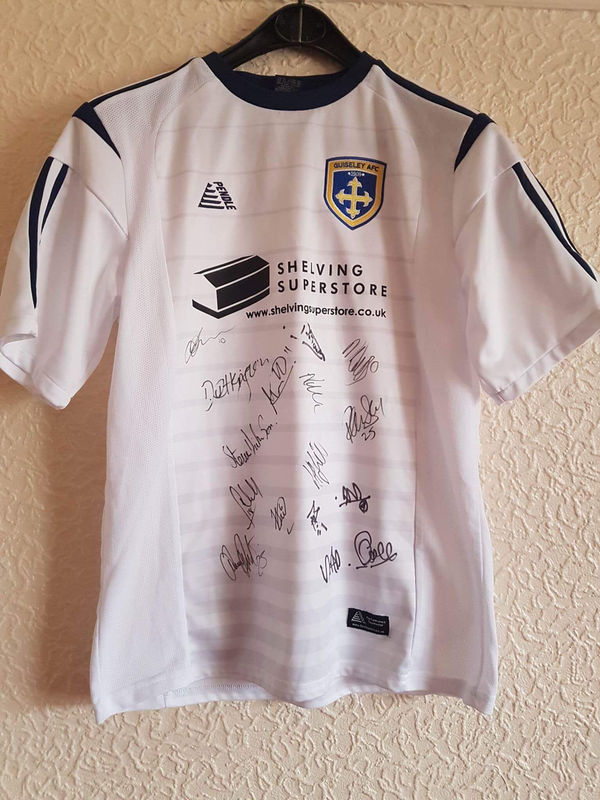 If you would like to bid please email info@guiseleyafcsupportersclub.com or by filling out the below form. The final day for email bids will be Friday 24th February 2017 and any final bids and the shirt winner will be announced on the 25th February in the clubhouse after the game against North Ferriby United.